Goodnight, gentlemen. Don’t let the vampires get you. The Vampire Bat is a greatest hits version of early 30s horror. Have you ever wanted to get a taste of the cumulative trends of the Golden Age of horror cinema while it was still in its infancy? Then listen to this! Track 1 – “Let’s Do The Dracula.” The most obvious homage comes there right in the title. Fast on the heels of the 1931 Dracula’s mammoth success and steadily trailing behind Nosferatu (1922), Poverty Row studio Majestic wanted to cash in on the vampire bandwagon. In a small Eastern European village, people keep turning up drained of blood with two particular marks on their neck. Could it be a vampire? Or just a swarm of surprisingly accurate mosquitos? Track 2 – “When the Stars Align.” Warner Brothers had a problem in 1932. 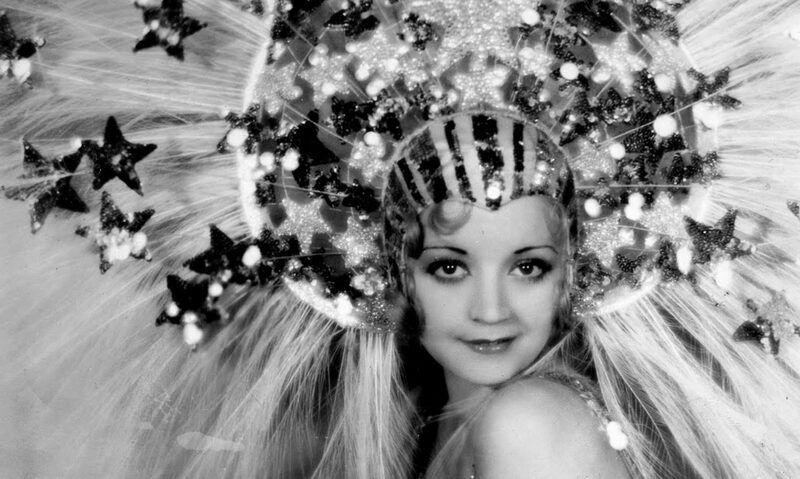 They’d bought a large amount of Two-Strip Technicolor stock when it was thought to bring in the audiences back in 1930. Unfortunately, two-strip had a number of problems- it couldn’t create the color blue, for one- and when the ‘let’s film an interlude from a Broadway show in color and slap it in the middle of our film’ craze died violently in 1931, so did most of the audience’s taste for the flawed two-strip process. Seeking to run out their stock and contracts, Warners filmed two lavish horror movies (themselves cashing in on the horror cycle Universal had kicked off with, yes, Dracula): Doctor X (1932) and The Mystery of the Wax Museum (1933). 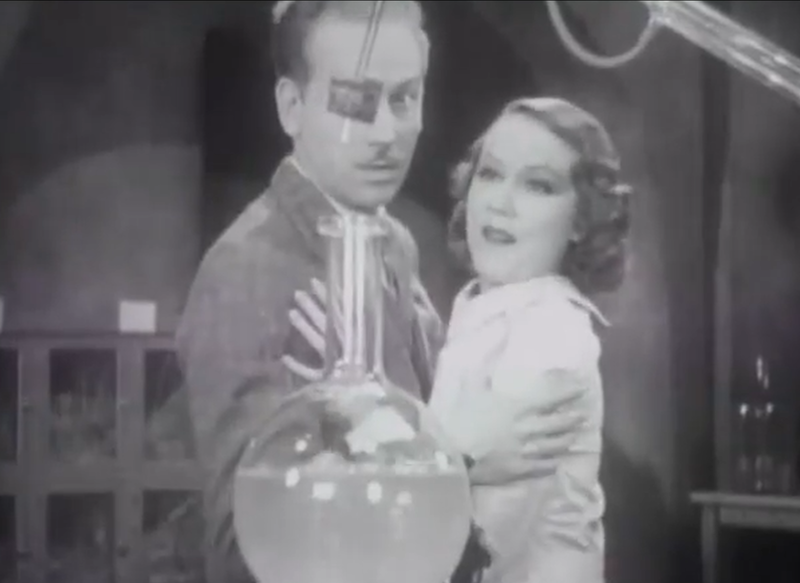 Warner’s gave the movies a big push, and the two films shared a pair of rising stars: future scream queen Fay Wray and the sinister looking Lionel Atwill. Majestic scored a coup by grabbing them and putting them at the forefront of The Vampire Bat; if people weren’t going to see this movie because it looks like Dracula, then maybe they’ll trick them into thinking it’s an expensive Warner Brothers picture. Track 3 – “Frankenstein Boogie.” Yes, not only did Majestic find plenty to be inspired by from the gothic mansions of Dracula, they certainly dug up plenty from James Whale’s Frankenstein. Power hungry mad scientist who wants to play god? Oh yeah. Here it’s Lionel Atwill, and he’s obsessed with keeping a big ball of flesh alive. This, too, is a callback to Doctor X and its infamous ‘synthetic flesh’, though I’m afraid to report that Vampire Bat’s giant flesh sponge isn’t nearly as creepy or interesting as Doctor X’s flesh gravy. True to Frankenstein (as well as The Island of Lost Souls (1932)) there’s also a rampaging horde of villagers with torches and… a log. For some reason, a guy is just carrying a log around. Not sure what his deal is. Track 4 – “Dwight Frye (Doing His Thang).” And those villagers are of course chasing Dwight Frye, because if you were in their shoes, you would be too. Dwight Frye holds a special place in the hearts of anyone who’s watched an original Universal horror movie. Besides being another inherited element of Dracula, Frankenstein and even The Invisible Man (he was the hypnotized Renfield in the first, Fritz in the second, and a reporter in the third), his character continues to be another weirdo toady who arouses the suspicion of everyone around him. The main difference here is that Frye’s character is innocent: besides being mentally handicapped, he clearly isn’t a vampire. But being a weirdo in a village full of superstitious stereotypes is just a recipe for disaster. Track 5 – “The Wry Fast Talking Reporter. Sheriff.” Set in a generic Eastern European village (which you may or may not recognize as the Frankenstein sets getting a workout), our story sees the town’s sheriff attempt to find and kill a vampire. But the sheriff isn’t like most of the other townspeople who wandered out of central casting told to lean over and oscillate between wide eyed fear and murmuring anger. 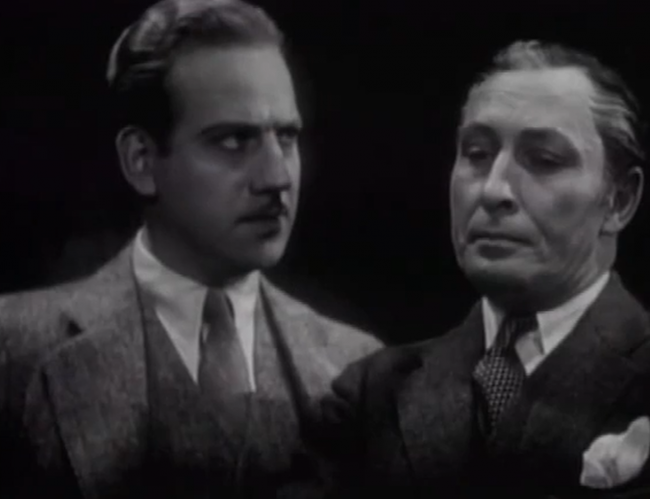 It’s Melvyn Douglas who… well, he isn’t exactly known as a horror icon by any stretch. 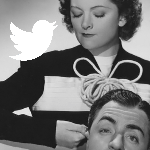 He’s most remembered films would come in the forms of Ninotchka (1939) and Being There (1979). 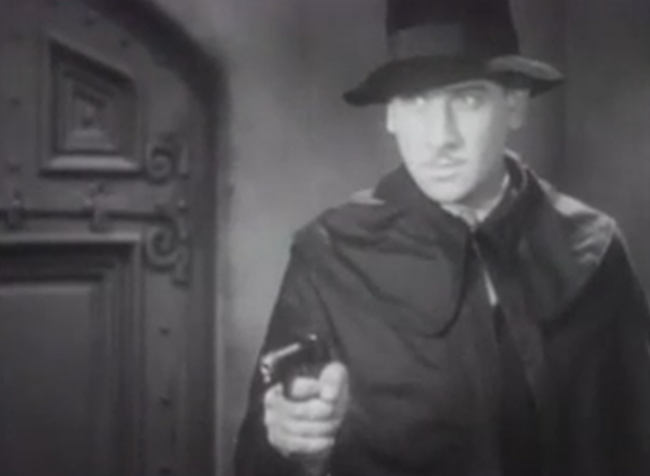 However, when this came out, he’d been at the center of James Whale’s old dark house mystery The Old Dark House (1932). Besides Melvyn, the The Vampire Bat borrowed a few of that film’s interiors from Universal. Melvyn’s character is smarter and more pleasant than the rest of the townsfolk, dressed in a snappy modern style and quick with the joke. He laughs off their claims of a vampire at work for the first half of the picture. 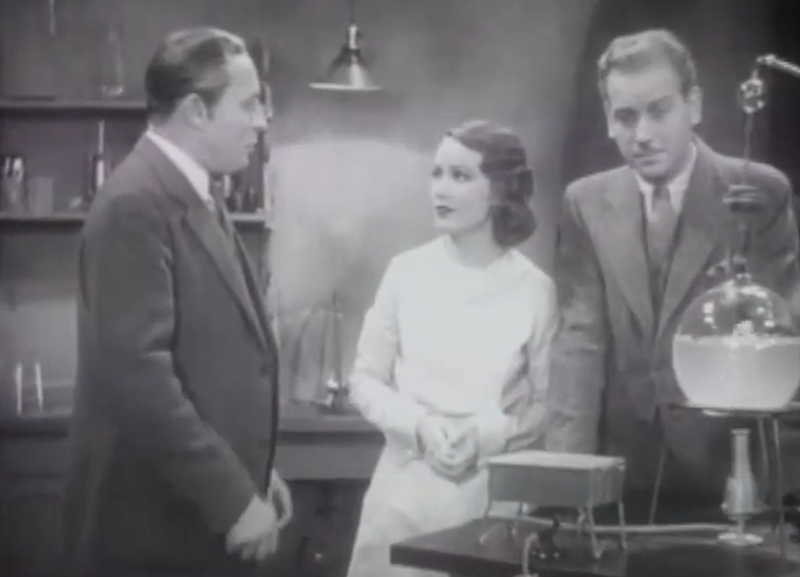 He also romances Fay Wray (a cork pops from a beaker with the maximum amount of suggestiveness when they kiss) and generally wanders around until the villain makes himself known. Like the hero of, of course, Doctor X, he’s smarmy and precocious until he’s scared. That’s when the movie lets you know it’s time to take things seriously. Track 6 – “Tiptoe on the Rooftops.” Another homage, perhaps a more overt one, comes in the film’s opening moments and again later on as a man traipses across the backlot’s rooftops. 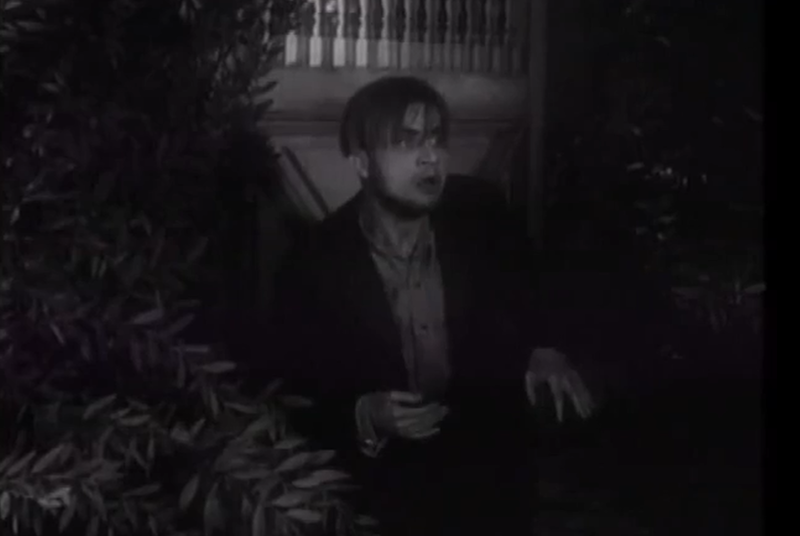 Much like in Murders in the Rue Morgue (1932) where Erik the murderous gorilla (you should see Murders in the Rue Morgue, by the way) skirts across the rooftops of Paris seeking out his mate, the murderer of THE VAMPIRE BAT finds that walking above the streets to be preferable to sneaking around below. Track 7 – “The Comic Relief That Ain’t.” – A lot of horror movies in the 1930s liked to sneak in comic relief characters. 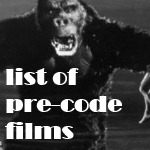 Most of them have one defined trait which they play to the hilt- see the fey roommate in Murders at the Rue Morgue or Charlie Ruggles’ peevishness in Paramount’s Murders in the Zoo (1933) released a few months later. 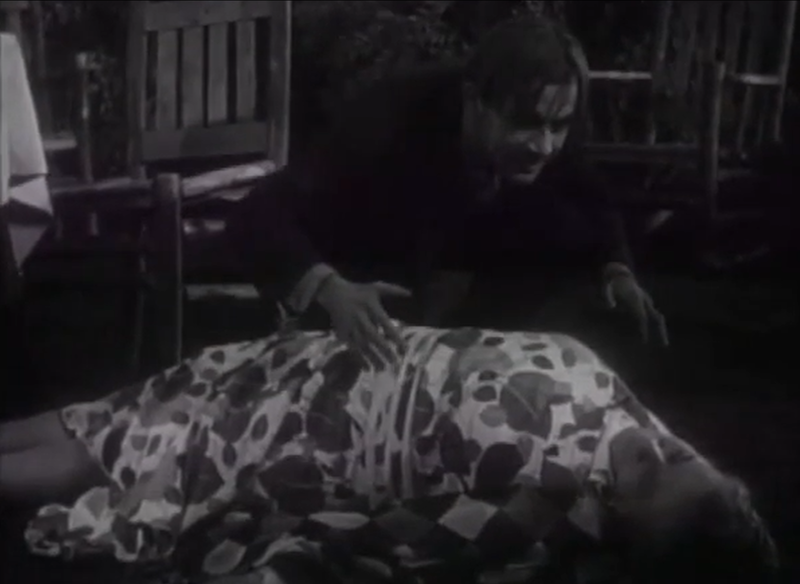 And while there are certainly some successful comic side characters in early thirties horror— Harry Earles as the murderous midget in The Unholy Three (1930) comes quickly to mind—here we have Wray’s health-obsessed aunt played by Maude Eburne (who looks uncannily like then-megastar Marie Dressler) and her obsession with health products. It’s a good performance of a number of bad jokes, each one more white noise than the last. The ending joke is especially a clunker—I doubt anyone leaving the theater was howling “Epsom salt!” as they left their seats. 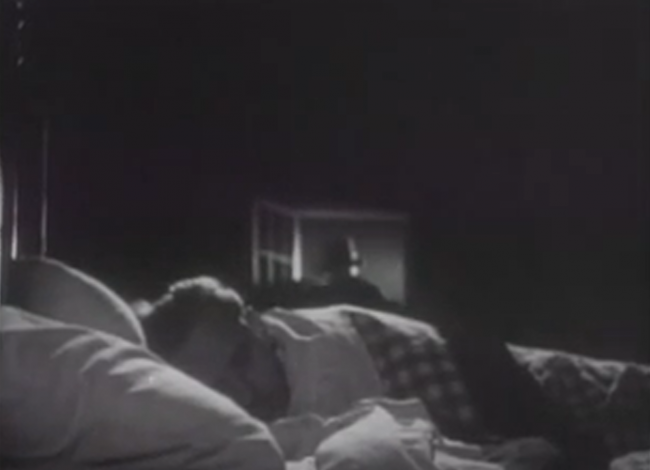 Track 8 – “The Somnambulism Throwdown.” Yes, everyone’s favorite big official-sounding word for sleepwalking that they learned after watching The Cabinet of Dr. Caligari (1920) returns! Atwill is revealed to be controlling one of his servants and forcing him to kill people under the cover of darkness and then drag them all the way back to his castle (because he has a castle) so he can drain their blood and then return them back home. Because getting an awake and sane person to do that would probably be impossible. Atwill, as the town’s leading scientific authority, had used enough vague mumbo jumbo to trick them into thinking that the actual trouble is supernatural rather than it being the most obvious guy in the village. So the truth is out there: there are no vampires in this movie. This twist ending to The Vampire Bat—and using the word ‘twist’ is generous in any film where Lionel Atwill is snacking on the scenery with all due delight— must have owed something to London After Midnight (1927) since it also resembles the rather frivolous twist of London’s remake, Mark of the Vampire (1935). And the revelation of the scientific horror outshining the superstitions comes from, oh, hey, Doctor X. Track 9 – “And the Moral of the Story Is…” Even the film’s message seems borrowed. A year before the release of Vampire Bat came another independent production called White Zombie (1932) which featured Bela Lugosi at his scene chewing best. (One imagines that Lugosi wasn’t in Vampire Bat because the studio accidentally spent his fee on getting their cars washed.) White Zombie is a film about racial oppression and class consciousness, where the rich make literal zombies out of the poor. There and as in Frankenstein and here, the villagers are the ignorant masses, firmly put under the boot (or the vivisection table) by a rich doctor with a veneer of civility that masks a dark quest to become God. Innocents die in all of these movies, and the early 30s mantra that money debases the human spirit shines through again. Track 10 – “Missin’ One.” Damn, I’m sure there’s something here from The Mummy (1932). Uh, well they’re both in black and white. Can’t fight me on that! The Vampire Bat is a fun trip, getting by on looking okay and playing with enough conventions to still seem sprightly, even with wooden direction and some lame comic relief. 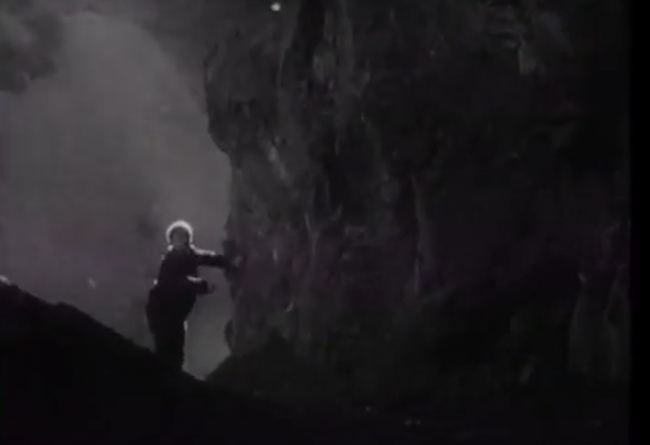 It serves as a fascinating mix of every genre trope that had emerged in both the silent era and the early sound years. (Except for those in The Mummy. Fine, got me there.) It’s in the public domain if you’re curious. Just don’t blame me if you feel like you’ve seen it before. This essay is available along with my takes on Fright Night (2011) and the Twilight saga (2008-2013) in the newly released Taste the Blood of Monster Serial which you can get over on Amazon. Also, as a reminder, I’m still running a contest where you can win a copy of the book. Click here for more details! 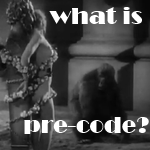 Danny I love your site and I love precode movie ! It’s so rare to put fun in cinema but you do it effortessly! Yeah. The 31 Dracula is based on the stage play rather than the book for budgetary concerns, and that seems to have influenced a lot of early horror talkies in the same regard. OMG this post was hilarious, Danny! Well done (as usual)! I remember seeing THE VAMPIRE BAT a really long time ago and I think the only reason why I watched it in the first place is because it had Dwight Frye in it. Gotta love him. If you watch Vampire Bat, you’re watching it for Dwight Frye. He’s great. I like this one though it’s no Frankenstein nor even Dracula. Yes, it’s a collection of Universal horror tropes — and, if I understand correctly, both it and White Zombie, another independent, were shot on Universal sets. Dwight Frye does steal the show but Fay gets her patented screams in as well. Really, the only thing missing is David Manners (which is probably just as well). Ha! Poor Manners, he gets no respect. 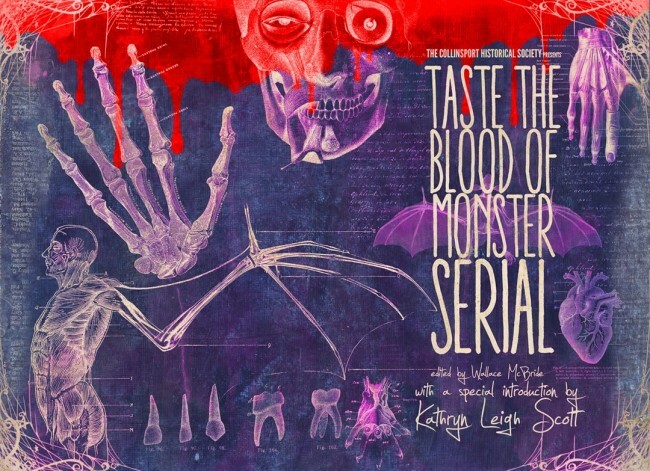 Next PostNext Taste the Blood of Monster Serial Contest Winner!